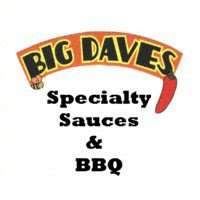 The Dizzy Pig BBQ company sent samples of all eleven of their signature spice blends. Thus far, their salt free Raging River has been my favorite. Dizzy Pig's website says that Raging River was developed as a salmon seasoning, but has evolved into an all purpose blend. I decided to use the product as intended on four wild caught (unfortunately, not by me) salmon fillets. I grilled the seasoned salmon on pre-soaked apple and cedar planks from Maine Grilling Woods. The Raging River blend is definitely a perfect fit for salmon. It's mild and slightly sweet. When tasted on it's own, I also picked up some citrus flavor. I think the sweet rub was a nice compliment to the smokey flavor provided by the wood planks. Raging River could easily become my go-to seasoning blend for grilled salmon. Based on the ingredients and flavor profile, I could also see it being a good spice blend for pork and even summer salads. Check out the "Product Reviews" page to see how Raging River compares to other blends. 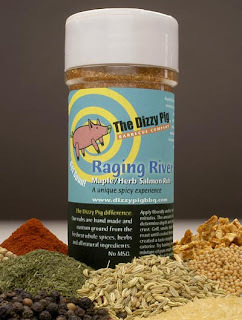 0 Response to "Dizzy Pig BBQ Raging River Rub"